Taking the stage at the company's newly-completed Steve Jobs Theater, Apple gave fans their first look at the biggest features they can expect to find with the all-new iPhone 8. In addition to new color options like Silver, Space Gray, and Gold, all iPhone 8 models will include a glass back that Apple says is the most durable glass shell ever placed onto a smartphone, as well as a sharp 4.8" screen for the iPhone 8 and 5.5" display on the iPhone 8 Plus. The changes made to the iPhone formula don't stop with display and ergonomics, either. All iPhone 8 models will include the company's brand-new A11 "Bionic" processor, which includes a six-core 64-bit CPU with four high-efficiency cores and two high-performance cores as well as an exclusive Apple-designed GPU that provides a 30% performance boost when compared to the GPU on the iPhone 7's A10 chip. All iPhone 8 models will also include stereo speakers for enhanced audio projection, with one speaker being featured at both the top and bottom of the device. Photography enthusiasts will also find plenty to love in the new iPhone 8 models. 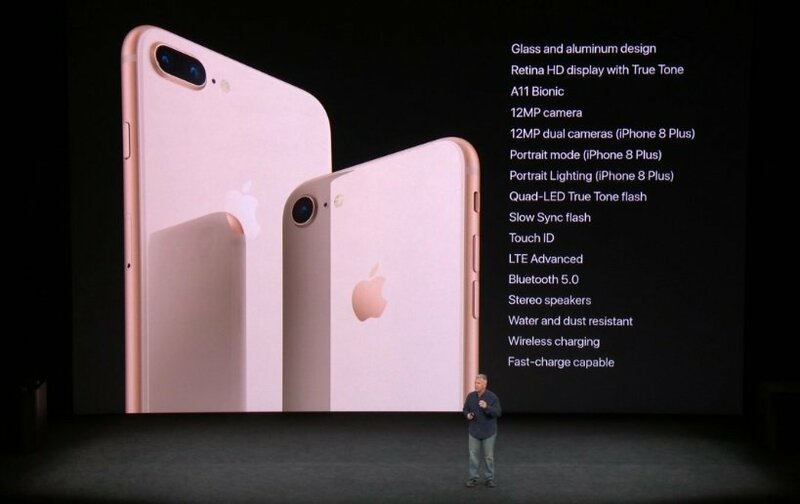 The base model will include a 12-megapixel rear-facing camera with an all-new sensor and optical image stabilization, while the iPhone 8 Plus models will include dual 12-megapixel cameras with Apple's new sensors and an aperture of F/2.8. 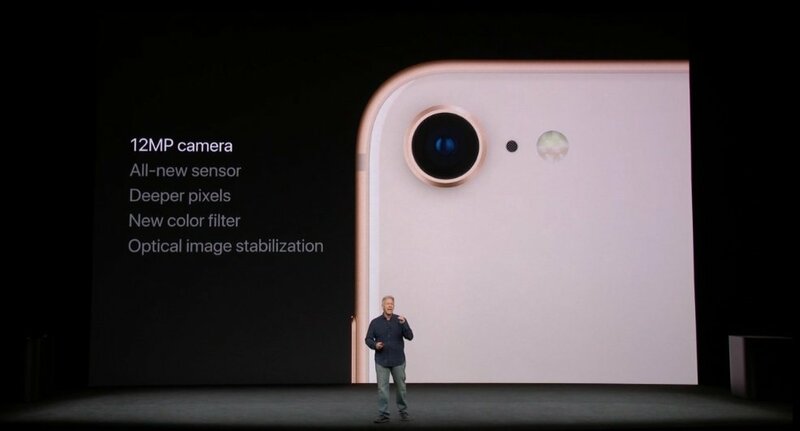 Both cameras will be optimized to take photos in low-light conditions, and the Camera app will support a new Portrait mode that allows users to select lighting effects on the fly. In addition, users will be able to make use of the power of the iPhone 8 to capture 1080p video at 240 frames per second and 4K video at a silky-smooth 60 frames per second. Of course, one of the biggest and most-anticipated features of the new iPhone model is Apple's support for wireless charging. By utilizing the Qi open wireless standard, iPhone 8 and iPhone 8 Plus devices can be charged simply by placing them on a flat charging pads, the likes of which Apple assures us are being produced by a number of big-name manufacturers. And, as revealed through Apple's iPhone X demonstration, wireless charging functionality will also be extended to the new Apple Watch as well as Apple's AirPod headphones, meaning true Apple fans won't be struggling with wires for too much longer. Apple also took the opportunity to showcase the power of their augmented reality platform ARKit when combined with the iPhone 8 hardware. The MLB At Bat app was shown overlaying stats and player information in real-time over a stadium view of the game, and representatives of Directive Games showed off their AR-based title The Machines, which was able to render a game environment consisting of 1.2 million polygons in real-time while the player was able to direct the action from the iPhone 8. 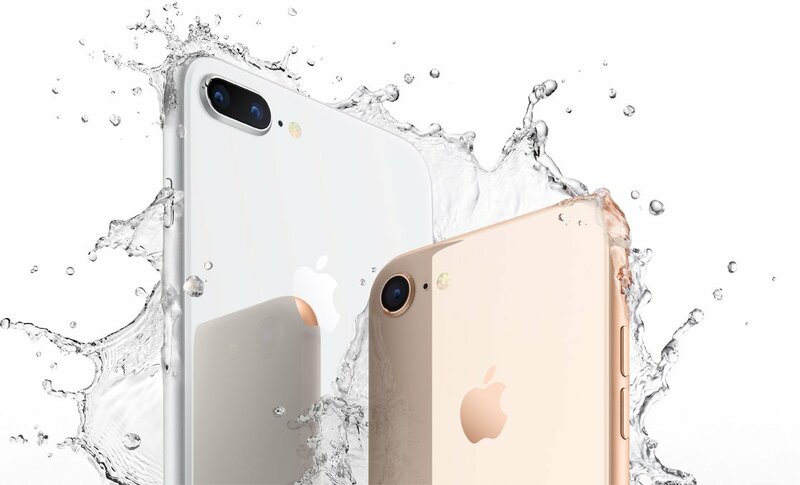 Like with many of the other products Apple showed off in their latest presentation, orders for the two iPhone 8 models will begin on September 15, while devices will begin shipping on September 22. Basic iPhone 8 models will begin at $699, while users keen on the iPhone 8 Plus can expect prices to start at $799.